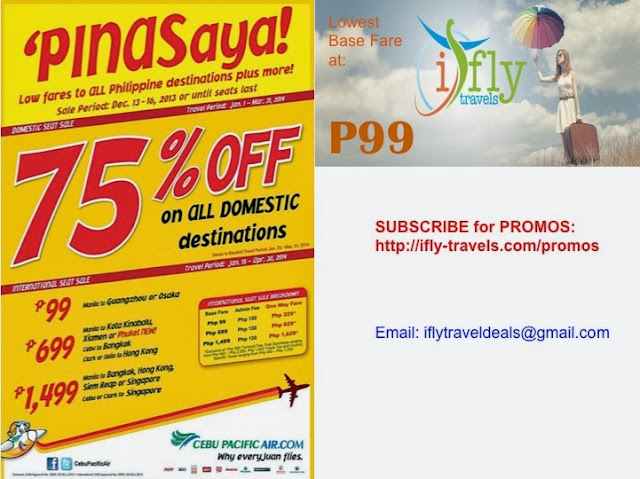 Cebu Pacific Promo Fares: 'PINASaya! Enjoy low fares to Philippine destinations and more with our latest #CEBseatsale! International Destinations : Travel Period: January 1 to March 31, 2014.